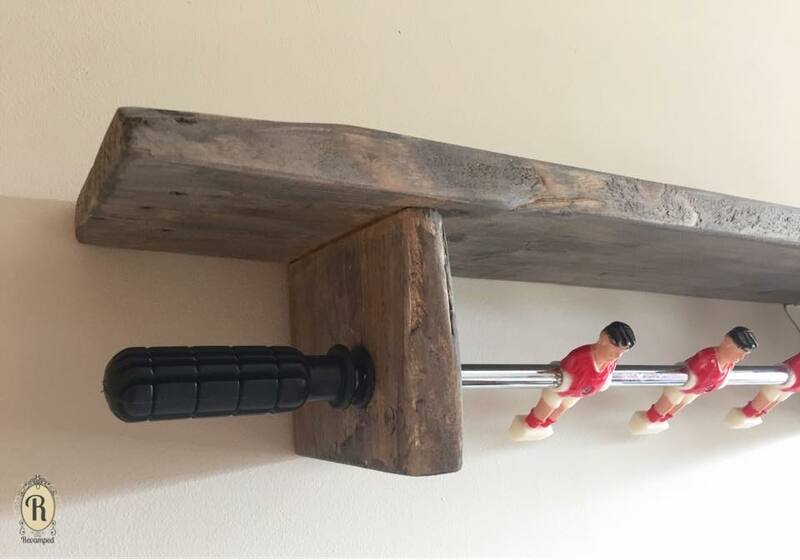 Check out this awesome upcycling project by Beverley of Revamped! So crafty! 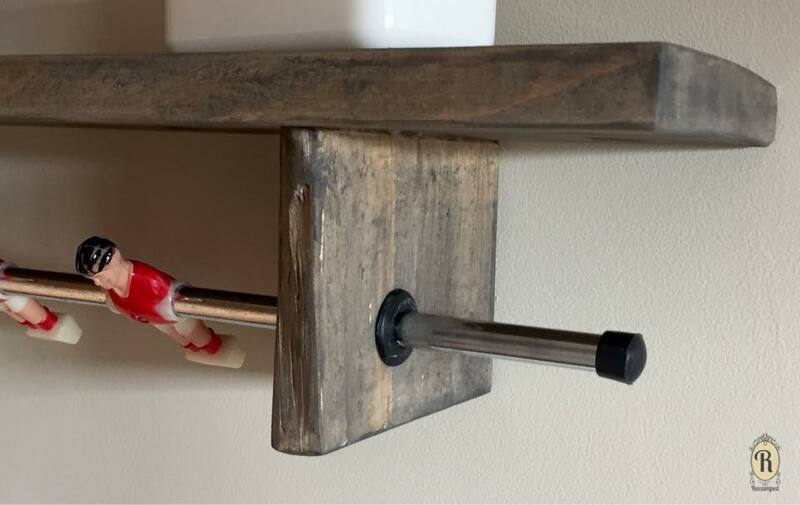 She explains, "I made a hanging rail with an old foosball table rail and reclaimed timber. I used GF Queenstown Gray Milk Paint over the wood, but as a wash to show the grain and give it a rustic feel."